Leicester City travel to the Cardiff City Stadium to take on newly promoted Cardiff City. The Foxes take on the Bluebirds on Saturday with both sides in quite a need for a win. Cardiff City come into this game after quite a heavy 4-1 defeat last time out at Anfield, at the hand's of Jurgen Klopp's Liverpool. Whilst Leicester City will arrive in Wales with no win in the entirety of October, only picking up a single point. After the tragic events after the game with West Ham United last week, football has taken a bit of a back burner for the club. Manager Claude Puel has said that no matter the result in this weekend's match, they will be playing to honour their late chairman Vichai Srivaddhanaprabha who died in a helicopter crash. Puel had this to say in his pre-match press conference: "This weekend, and all the matches thereafter, we play to honour a man who did so much for our club. "We have a responsibility about the memory and the work he put in place. Vichai made Leicester City into what it is. He made it a family and made a dream and we must continue the Leicester City he built." Puel will be hoping that the players will be reinvigorated and determined to put behind a poor October in terms of results and ascend the table for Vichai. After securing their first win of the season against Fulham two weeks ago, Neil Warnock's side tasted defeat yet again against Liverpool but hopefully being at home again can inspire the side to victory. Being at home might not been easy for Neil Etheridge in goal, as they have conceded 29 goals in the last 11 games in the Premier League, only keeping one clean sheet. Cardiff also have the lowest pass completion percentage (63%) in the league this season so far. They could also achieve back to back home wins the top division since April 1962. 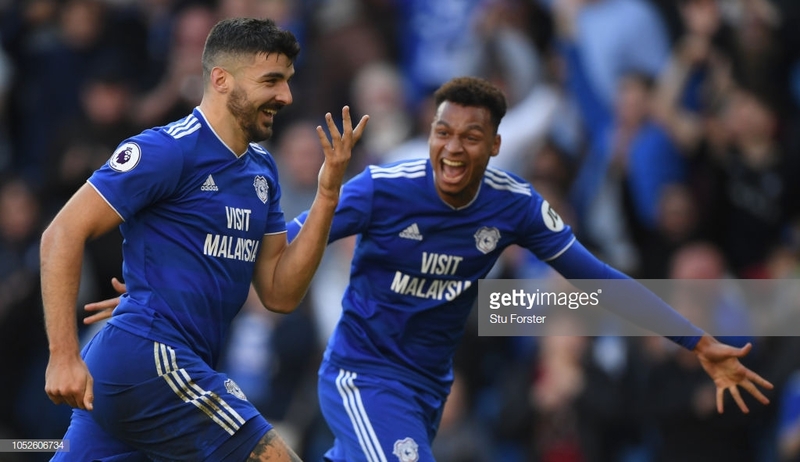 Striker Callum Paterson could become the first player to score in three consecutive Premier League games for Cardiff. Given the tragedy that happened at the King Power last Saturday, there was a debate on whether or not this game should go ahead or not. Warnock said in his pre-match press conference that it felt strange preparing for this game this week given what happened. He said, "It was a hell of a day for me with Glenn Hoddle earlier in the day. "Originally I didn’t think the game would go ahead and if I’m totally honest I was hoping it wasn’t going to go ahead. "But I understand now where they are and I think it’s a good decision to go ahead with it now because you’ve got to move on and you’ve got to get people back to normality as soon as possible." Cardiff have only lost one of the last six fixtures with Leicester, winning two and drawing three. Having said that Leicester have won the last three in the top flight, the last of these being in 1962. In those last three encounters in the top flight Leicester scored 10 goals without reply from Cardiff. Joe Ralls is serving the last game of his suspension, Harry Arter might return to the side after missing out against Liverpool. Jazz Richards joins the injury list, alongside Danny Ward; Lee Peltier; Nathanial Mendez-Laing. Captain Wes Morgan returns for the Foxes but midfielder Daniel Amartey is out for four months after ankle surgery.